Preregister for the next edition to receive all the information ahead of time. This was a wonderful edition that took place on 13 April in Northern France. It was chilly but the race took place under bright blue skies! 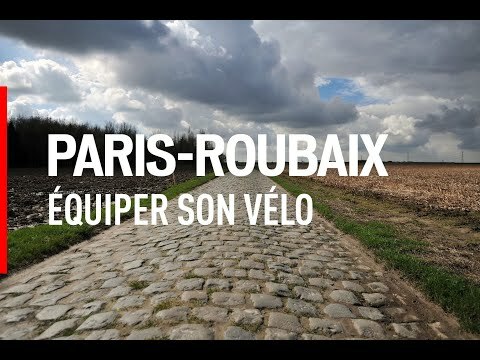 Relive the Paris-Roubaix Challenge in video! Don’t miss the beginning of registration for the 10th edition (in April 2020). Sign up to be up to speed ahead of time. You are now part of the legend of Paris–Roubaix. Just like Philippe Gilbert, you managed to tame the famous cobbled sectors. Sure, your hands and legs are still aching from the cobblestones, but you can be proud of crossing this exceptional finish line! You were 6,836 who overcame the cobble stones of the Hell of the North -a record! You just accomplish a big challenge, you can be proud! Discover your split times on the timed sections now! Find the latest information and claim the last race bibs! Rendezvous beginning on Friday in Roubaix! Specialized will help you to better prepare your next adventure. What style of riding is best to take on the cobblestones of the Paris-Roubaix Challenge ? Riding the cobblestones of the Paris-Roubaix Challenge requires a certain amount of technique. Indeed, several additional constraints are added to a traditional riding style, like a slick road surface, amplified when it rains, and a bike that bounces on the irregularities of the cobblestones. Learning to ride on the cobblestones requires a good riding position as well as an adapted speed and pedal cadence. 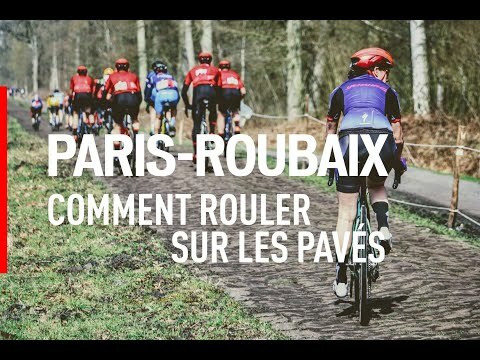 The Specialized team provides you with a few tips to take on the Paris-Roubaix Challenge with confidence! Discover all Specialized products on the website! Count on Specialized to help you get ready for your next adventure! The cobblestones are no place for improvisation! Bike handling skills are important, but choosing the right gear is paramount! The Specialized team has a few tips to help you tackle the Paris–Roubaix Challenge comfortably and safely! From the rims, tyres and tyre pressure to the choice of repair kit, saddle, bar tape and more, every detail counts! Check out Specialized's range of products! Sign up now to get the best deal and join the adventure of the Paris-Roubaix Challenge! Enter the legend of the cobbled classic and find out what it feels like to ride the same cobbled sectors, circle the same velodrome and wash in the same famous showers as the cycling greats (Merckx, Hinault and more) just 24 hours before the pros! Check out the course details, including cobbled sectors and feeding zones. Dress in the colours of the Paris-Roubaix Challenge! You are about to enter into the history of the Paris-Roubaix Challenge and its legendary cobbles! A jersey, a water bottle, a t-shirt, a cobblestone… Wear the colours of the event for the race or take them home as a souvenir of this extraordinary adventure! Check out all the options here. Log in to your time to account and click the PURCHASE PRODUCT button to subscribe to your choice. Since 1896, Paris-Roubaix has been offering a unique experience to cyclists all over the world. Thanks to Paris-Roubaix Challenge, you will be immersed in the mythical universe of this classic Flandrian by enjoying the same paved areas, the velodrome or the famous showers marked by the passage of the greatest (Merckx, Hinault...), 24 hours before the passage of the professionals! Discover the details of the routes, with the paved sectors and the refreshments. Registrations for the 9th edition of Paris-Roubaix Challenge are open on time to! On Saturday 13 April 2019, come and enjoy one of France’s most prestigious races, Paris-Roubaix. 24 hours before the professionals, you can ride on the same cobbled sectors before the finish on the mythical velodrome. 3 distances to choose from starting from €22: 70 km, 145 km and 172 km. Register now to take advantage of the best rates and reserve your place to watch the finish of the pros, the next day, on the lawn of the velodrome in a special area. Are you a fan of the springtime Classics? This pack is made for you! There’s no need to choose between the cobblestones of 'la Reine des Classiques’ and the Ardennes slopes of ‘la Doyenne’: we are offering you “The Classics pack” to satisfy your desire for legendary cycling. SAVE THE DATE: Opening of registrations on november 15th at 12pm for the 9th edition of Paris-Roubaix Challenge on time to. Get ready to take advantage of the best rates and participate in the Hell of the North on April 13th 2019, 24 hours before the professionals come. On Saturday there were 5,400 of you who overcame the cobble stones of the Hell of the North: discover your split times on the timed sections now! The photos and the Best-of video will soon be available! There are less than 24 hours until your exploit. If you have registered for the 172k route and have subscribed for the shuttle, you need to be at Auchan Leers shopping centre at 5am on Saturday to board the bus. If you have registered for the 70k or the 145k route, you need to go to the Jean Stabliniski regional velodrome directly. Today the reconnaissance of the route took place and above all the cobbled sectors of the Hell of the North! Verdict: Some have been revamped for the occasion, others are impatient to see if you will manage to avoid their pitfalls. One thing is sure: they’re ready to welcome you! Discover the official route of the map with the difficulties of the cobbled sectors. That's a record! You will be 6,000 to participate this year on the 8th editon. WARNING : no possibility to register on the village. This year, we are offering the Challenge’s participants the possibility to experience the legend of Paris-Roubaix by watching the mythical finish of the Queen of the Classics in the heart of the Velodrome on Sunday 8th April. By participating in the cyclo the day before, you’ll have the privilege of accessing an area free of charge, that will be reserved for you on the lawn of the velodrome. Access will be between 2.30pm and 4.30pm at the entrance indicated in the map below. An additional reason to register for Paris-Roubaix Challenge, so what are you waiting for? Last days to get your bib! You have signed up for the VIP package to experience the finish of the professional race in outstanding conditions. 2.30pm: the VIP area in the Roubaix Velodrome opens, with an open bar and cocktails served throughout the afternoon. Live screening of the race in the reception area. Access to the Velodrome’s lawn to watch the finish of the race and the prize giving ceremony. The wristbands giving access to this area should be picked up from SOS Riders when you pick up your race number. The prices for registrations for the 2018 edition of Paris Roubaix Challenge are now at Regular rate for the 3 races. Today you shared a unique experience with more than 5,000 cyclists. Now it’s time to enjoy the performance of the professionals who will suffer as much as you did on the mythical cobbled sections which were your playground for the space of a day. If you haven’t collected your options today don’t panic: they’ll be available in the village, until 6pm tomorrow. Everything you need to know about the Big Day! Tomorrow, you will be 5,000 cyclists setting off on the three distances of Paris-Roubaix Challenge. The most important thing, of course, is to go to the right start zone! 70k & 145k route: if one of these two routes appeals to you, bear in mind that the start zone is opposite the Jean Stabliniski regional velodrome. The 172k route: this race will set off from the mairie (town hall) in the commune of Busigny (59). More information here. All three routes will finish with a lap on the mythical velodrome in Roubaix. You’ll then have the opportunity to take advantage of the catering offers, services and entertainment and activities organised in the village by our partners. The sun will be shining in Roubaix, so take advantage of the last race numbers available! A few days before the Queen of the Classics, the weather forecast for the Hauts-de France is very sunny. There are still a few race numbers for the 145k and 172k routes on Saturday 7th April! The 172k route, which sets off from Busigny, will be the exactly the same as the professional route the next day. The 145k route will set off opposite the Jean Stabliniski regional velodrome in Roubaix and take the renowned Trouée d’Arenberg and the Carrefour de l’Arbre. Registrations are open until Friday 7th April at 6pm. So don’t wait any longer and register now on A.S.O. Challenges. The notification documents are available! The notification documents for Paris-Roubaix Challenge are available on A.S.O Challenges in your personal area in the “My events” section in the “Notification documents” thumbnail. Don’t forget to bring a proof of identity as well as this notification document to collect your race number from Friday 7th April. We have developed a range of official Paris-Roubaix Challenge products so that you can experience the mythical Paris-Roubaix in the best conditions. Discover our full range of products via your www.asochallenges.com account: from water bottles to oversleeves, your shorts and how you’ll fill up your Friday nights until the ultimate souvenir (the renowned cobblestones in Roubaix). Registrations open for Liège-Bastogne-Liège Challenge! On Saturday 22 April 2017 you will get the chance to ride your own Liège-Bastogne-Liège just like the pros. The ultimate challenge is taking on the entire course of 273 km, identical to the real race a day later. If this distance is a bit too much, then go for the 75 km or 156 km which are also a nice challenge and a great way to discovert he most arduous climbs of La Doyenne. Take on the Côte de Wanne, Côte de la Roche-aux-Faucons, Côte de La Redoute and the Côte de Saint-Nicolas, a challenge for real climbers! On 8th April 2017, cobblestone lovers will be able to take the mythical sections which have created the legend of the Hell of the North during the Paris Roubaix Challenge and choose among 3 routes: that of the professional race or 2 loops of 145km and 70km around Roubaix. Registrations for the 2017 Paris-Roubaix Challenge can be made on thewww.asochallenges.com website from Tuesday 8th November 2016 at 10am. In the run-up to the registrations for its 7th edition, Paris Roubaix Challenge has decided to give its website a makeover. The race, registrations, practical information, advice, etc. All the information is there, all you have to do now is prepare your registration.